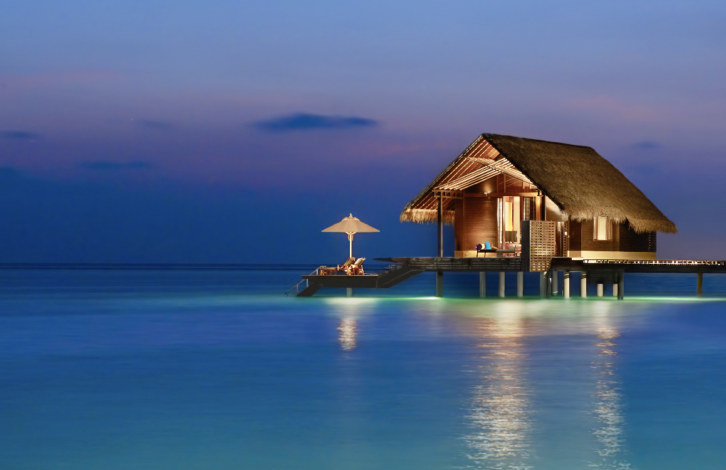 Escape the frenetic pace and chaos of everyday life at Taj Exotica Resort & Spa, Maldives. 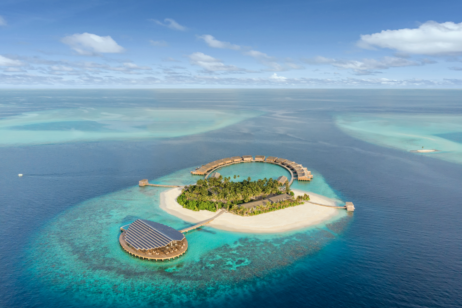 Away from the sparkling lights of Malé, this hotel is spread across the Emboodhu Finolhu island in the middle of one of the largest lagoons in Maldives. Renowned for its rich flora and fauna, this tropical island, also known as the Three Coconut Isle, is situated amid the coral reefs. A 15-minute speedboat ride from the airport brings you to the idyllic resort surrounded by the azure waters of the Indian Ocean. Set delicately over the lagoon, this postcard-perfect getaway offers 64 sea-view villas and suites that are luxurious and lavish, yet maintain a fine balance with nature. The world-famous, award-winning presidential suite is, arguably, one of the most beautiful places on earth. This tastefully appointed, award winning villa boasts a living room, a master bedroom with attached his-and-hers bathrooms, a guest bedroom, bathtubs with panoramic views of the Indian Ocean, a 39ft freshwater pool with a private sundeck, two salas for relaxing and dining, and a beautiful suspended deck filled with powder-soft sand and a hammock over the serene turquoise lagoon. This suite comes with a host of personalized amenities and services, which can be customized to suit your preferences. At the Jiva Spa, the ethos of the treatments is drawn on the rich and ancient wellness heritage of India, the lifestyle of Indian royalty and healing therapies that embrace spirituality. The spa experiences are offered by trained experts using exclusive natural products in a fresh and harmonious design setting. 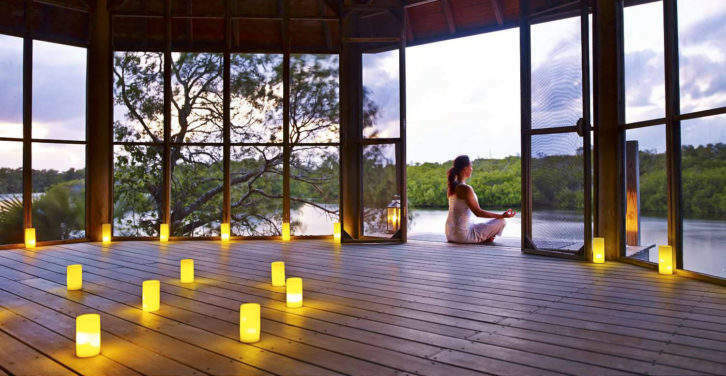 At Jiva Spa, you undertake the journey within through an array of enlivening holistic treatments, meaningful rituals and ceremonies for a truly calming experience. The restaurant features grills of prime cut rare meats, the freshest local catches and seafood. All cuts are grilled to your preference and accompanied by homemade flavored salts for seasoning at the table. Then try a symphony of sweet temptations from the pastry chef.